When critics point to Japan’s debt-to-GDP ratio of over 200%, Japan’s defenders are quick to say that most of the Japanese debt is owned by the Japanese themselves in insurance companies, banks, pension plans and personal portfolios, not to mention the Bank of Japan. There’s truth in this. Japan has a highly homogenous culture. The Japanese are all in the same lifeboat rowing in the same direction. As long as no one rocks the boat, the debts can keep piling up. That’s not true for the U.S. In the U.S. Treasury market, foreign ownership has remained constant as a dollar amount but has dropped as a percentage as the market itself has grown. As this article reports, foreign ownership of U.S. Treasuries has dropped from almost 50% to just over 40% in the past six years. Foreign participation in Treasury note auctions has also dropped, leaving the U.S. Treasury to rely more on buying by U.S. banks than end-user demand. These trends are made worse by the fact that overall Treasury note issuance is expanding in line with higher U.S. deficits and Fed-buying has moved in reverse as part of the Fed’s “quantitative tightening” program, which involves burning money instead of printing it. 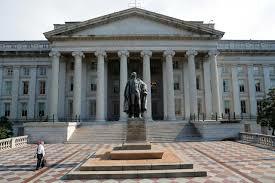 Treasuries will always find a buyer; the Fed can force U.S. banks to buy them if necessary. But if these “hands off” policies of foreign buyers continue, interest rates will rise and liquidity will dry up. This opens the door for slower economic growth and possible flash crashes in the Treasury market. Conditions could get even worse if China uses the Treasury market as a weapon in the ongoing currency and trade wars. The Treasury may end up as its own worst enemy for failure to get deficits under control.